So what do we mean by fun? First, let’s see what we don’t mean. If you’re an adult language student, fun should not be silly or childish. And, having fun during language lessons doesn’t mean you’re laughing all the time; that would mean the language lessons are funny — not fun. Laughing all the time during lessons is good if you’re training to become a comedian, but it won’t help you learn English. 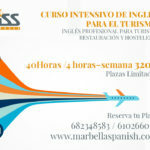 English is necessary in many careers and is really a skill to develop steadily. 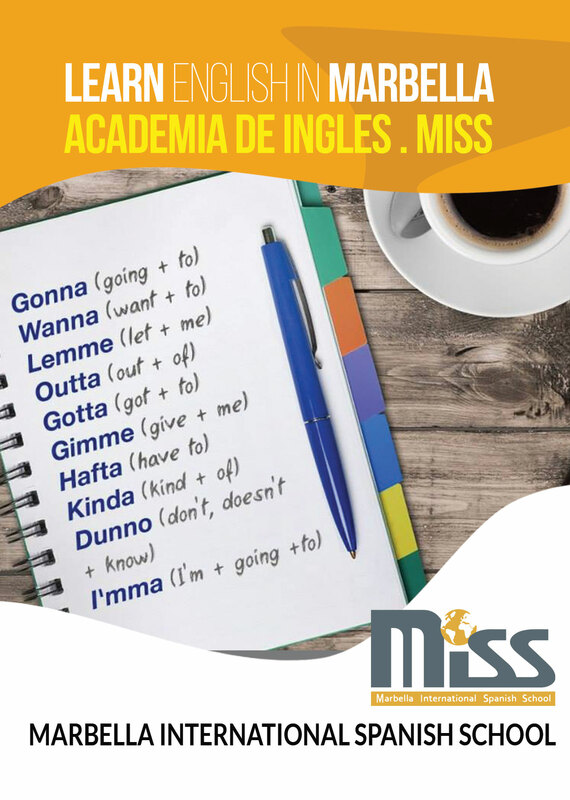 However, it is not always easy to get better and everyone cannot travel in an English speaking country or afford private lessons. If it can be free and fun, that’s better! 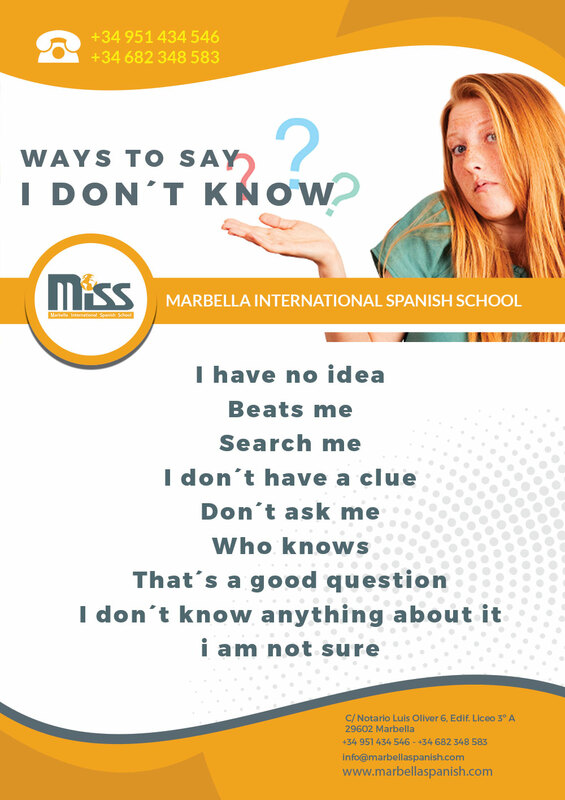 One of the great things about English is that there are lots of ways to learn. You can do as much or as little as you have time for. 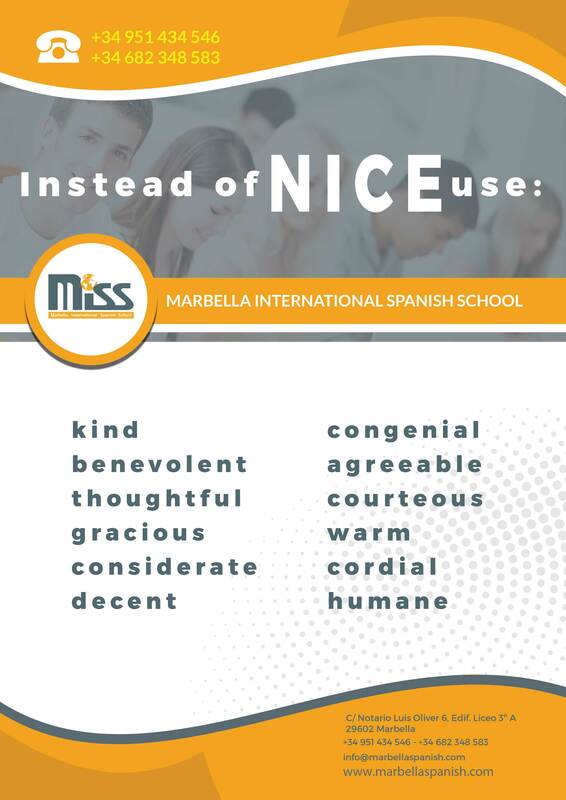 Here at MISS Marbella International Spanish School we create simple postcard flyers to help you learn english in a fun way, with the use of specific phrases and verb.